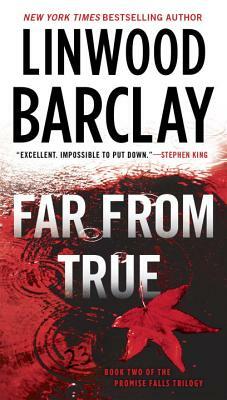 New York Times and #1 international bestselling author Linwood Barclay delivers the second spine-chilling thriller in the Promise Falls trilogy. Detective Barry Duckworth is doggedly trying to solve two murders, one of which is three years old. He believes the killings are connected, since each featured a similar distinctive wound. And the key to his mystery may lie with Cal Weaver’s own case. Linwood Barclay is the New York Times and #1 international bestselling author of fourteen critically acclaimed novels, including Broken Promise, No Safe House, A Tap on the Window, Trust Your Eyes, Never Look Away, which has been optioned for television, and No Time for Goodbye.